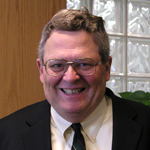 Dr. Bennett joined the faculty in August 1980 following an 11-year career at the United Technologies Research Center. He received his B.S. degree in Engineering Mechanics from Lehigh University and a Ph.D. in Fluid Mechanics from the Johns Hopkins University. His research at United Technologies concentrated on the experimental investigations of flows associated with gas turbine engines; that is, rotating blad stages and combustor fluid mechanics. He became involved with the development of instrumentation, data acquisition, and associated uncertainty analysis of results. More recently at the University of Connecticut, he has become involved in the scholarship of teaching and learning, engaging his students in efforts to effectively solve problems and work in teams.